BITTER divisions in the Liberal Party are on full display today after Malcolm Turnbull's explosive Q&A; appearance, while the key powerbroker whose vote ultimately led to the former Prime Minister's downfall has apologised for how the coup "played out". Mr Turnbull last night named Home Affairs Minister Peter Dutton, Health Minister Greg Hunt, Finance Minister Mathias Cormann, and former prime minister Tony Abbott as the leaders of the "insurgency" that toppled him and declared they had to explain to the public why they chose to "blow up the government". 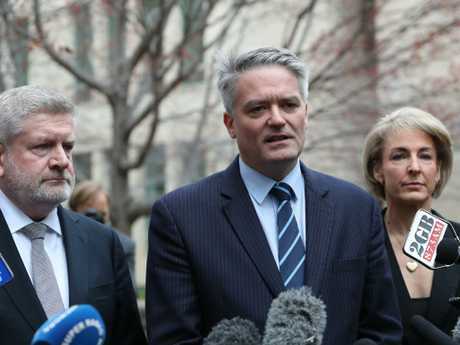 Senator Cormann, the key powerbroker whose shift in support to Dutton during the spill week was the figurative nail in the coffin for Turnbull, said this morning he "did not engineer any coup" and would have preferred if the Turnbull government had continued. 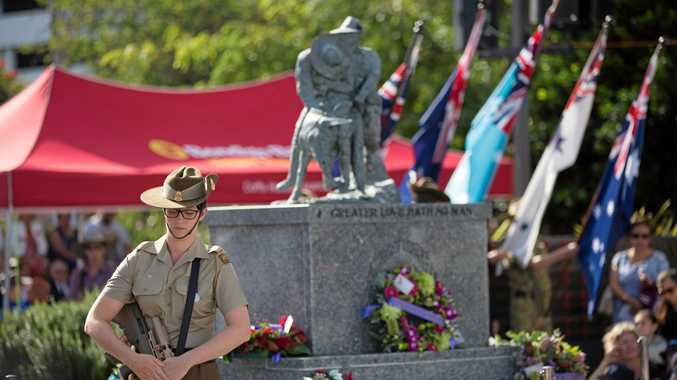 "I'm sorry about the way all of this played out but at the end of the day this is bigger than any of us as individuals and in the end we have got a job to do for the Australian people," he said. "Events developed that meant we had to make some decisions," he said. "I wish that on the Tuesday what happened didn't happen (the first spill) but ultimately in the days that followed we couldn't ignore reality, we had to deal with the situation as it presented itself." Senator Cormann added that he and Mr Turnbull had a good personal relationship before the spill. "I never wanted the events to unfold the way they did. It would have been much more comfortable for me personally if I did not have to deal with matters that week as they emerged, there's no question about that." The senator also said he hadn't seen any of the internal party polling Mr Turnbull referred to last night that showed the Coalition was ahead but he agreed the government had "worked really well as a team" and had "got ourselves into a more competitive position than we had been". 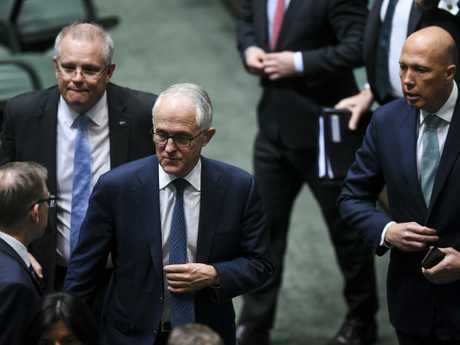 Other Liberal MPs have unleashed on each other this morning as the divisions within the party continue to fester while new Prime Minister Scott Morrison tries to rebuild public support and confidence. Defence Minister Christopher Pyne, a moderate faction leader, said this morning the Liberal MPs who brought down Mr Turnbull must be held "responsible for their actions". 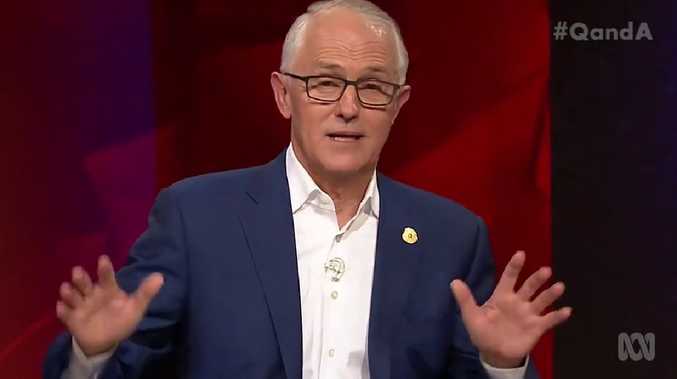 "They made a decision about not supporting Malcolm and they have to be responsible for that," he told the Nine Network. Despite saying he didn't watch Mr Turnbull's appearance on television, Mr Pyne said he had done a "great job" and that he spoke to him afterwards. "He's a friend of mine, so I asked him how it went. We texted each other and he's entitled to have his views about things," he said. "We're getting on with it and he's getting on with it." Conservative Liberal MP Craig Kelly, a key Dutton backer, said Mr Turnbull only had himself to blame for the spill. "The answer is simple, when he took over from Tony Abbott, he set himself a KPI of 30 Newspoll losses, he had those and more," Mr Kelly told the ABC's Matter of Fact program last night. "We had the Longman by-election that the former Prime Minister set up as a contest between himself and Bill Shorten. We only polled a primary vote of in the 20s, about 29 per cent in that Longman by-election. "We were getting close to six months off the next election, and many of my colleagues, especially those colleagues in Queensland, thought that we would stand a better chance at this coming election with a change of prime minister." Mr Turnbull said last night those who helped roll him might have been worried that he would win the next federal election. "We were doing the best we had done since the 2016 election, as it happened," he said. "Maybe they were worried we'd win the election. Maybe they were not worried we'd lose it - maybe they were worried we'd win it." But Mr Turnbull said he believed Mr Morrison when he said he wasn't involved in the coup. "I take Scott at his word. The insurgency was led by Peter Dutton, was obviously strongly supported by Tony Abbott and others," Mr Turnbull said. Mr Turnbull said Mr Morrison took advantage of a situation others created. "That is how he's presented the circumstances himself and I'm not in a position to contradict that or question that," he said.